SolarNow is an asset financing company that sells high quality solar products and appliances to households and businesses in Uganda and Kenya. The company started in 2011 and has since opened 51 branches throughout Uganda, 12 more branches in Kenya, and employs over 800 people. Our company aims to be client centric and a leading brand. In sales, we transform the lives of satisfied clients with motivated professional staff. We target the right persons, with the right product, at the right place with the right message. Our message follows our economic and aspirational brand personality: make money and power your life! Recently SolarNow has included solar irrigation equipment under their agricultural product range. In 2018, this product range will further be developed by including additional agricultural products. Job Summary: The Agronomist will primarily transform the lives of farmers and agri- businesses with motivated professional staff. Sales and Promotions: The Agronomist is responsible for the promotion and sales of agricultural equipment and appliances. Field Demonstrations: Organize farmer field demonstrations, is responsible to hit monthly sales targets, and ensures clients satisfaction and product performance through excellent client care. Client Care: Be the first point of contact for clients inquiries and complaints. Where need be escalate inquiries to the managers. The applicant for the Solarnow Agronomist job must hold a Diploma or Degree in Agricultural engineering, Agricultural Economics, Agricultural Marketing/ Sales, or related field. Proven success record in Sales. A passion for agriculture and proven experience working with farmers. · Strong Organisation, leadership and decision making skills. · Excellent interpersonal skills with the ability to work well in a team. · Result oriented and capable to adapt to a dynamic environment. · Strong knowledge of Office Applications ie Excel, PowerPoint and Word. · Highly Motivated and passionate about work. · Proactive with high energy and willing to work. 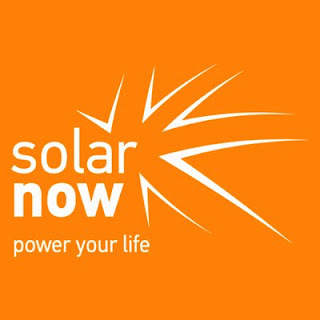 Conditions of work: SolarNow offers industry standard remuneration, health insurance & lunch. The place of work is at SolarNow’s head office, with intensive traveling to SolarNow’s branches in Uganda. All suitably qualified and interested candidates are encouraged to send their applications to the Human Resource Manager, SolarNow Uganda Services via e-mail to recruitmentug@solarnow.eu with their updated CVs (no other documents). Please include the position title as the subject of the Email.